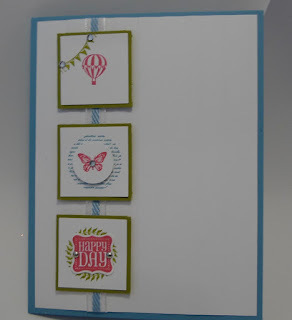 Karina's Kreations: Stampin'Up Collage Curios and Ciao Baby Card! 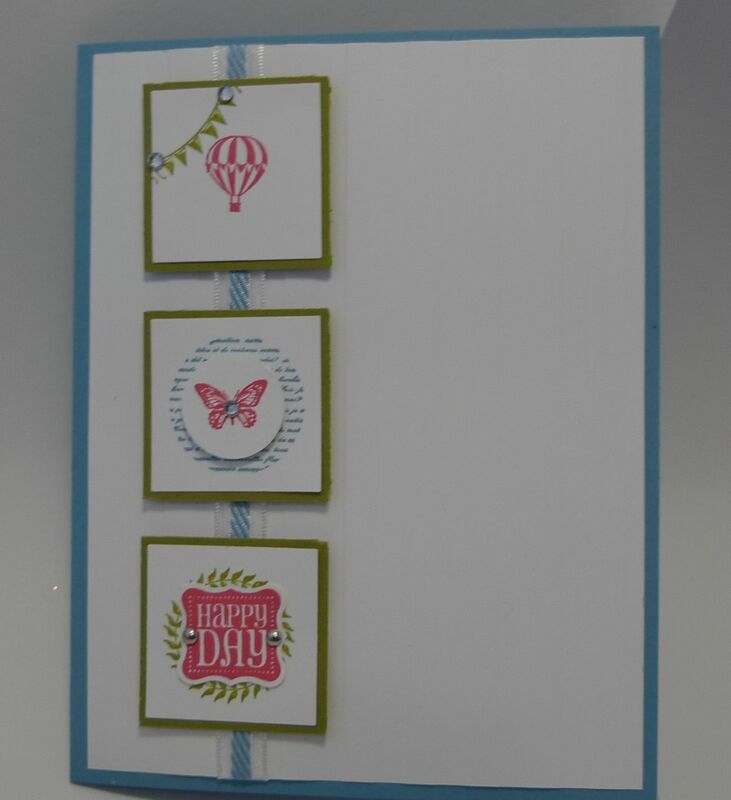 Stampin'Up Collage Curios and Ciao Baby Card! I have super fun stamp night Friday and was trying to come up with a cute cheerful card that was fairly easy to make! 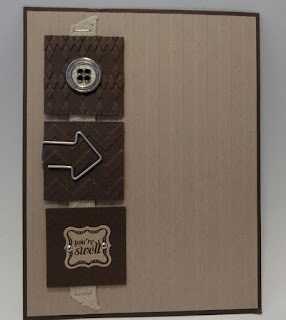 I took a look at some of my swaps and cased this beautiful card from Colleen Vassos. She made it for a masculine card swap. 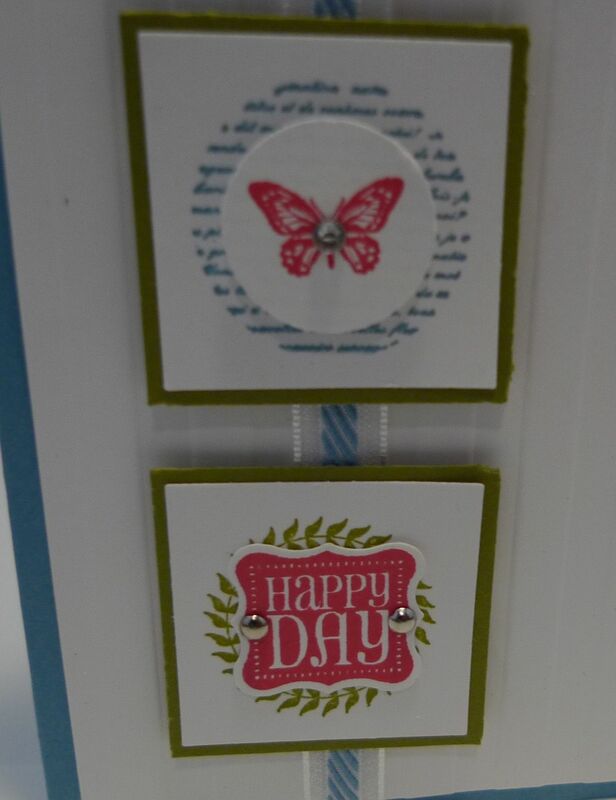 Most of the items on this card are retiring so get them before May 31. My colors are Marina Mist, Old Olive & Melon Mambo! P.S. All these retiring items will be in my Buy one Get Free Sale on May 31!